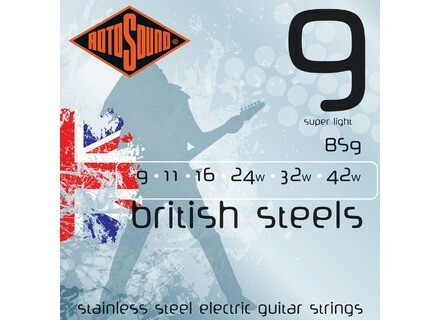 British Steels BS9 9-42 Super Light, Guitar String from Rotosound belonging to the British Steels model. 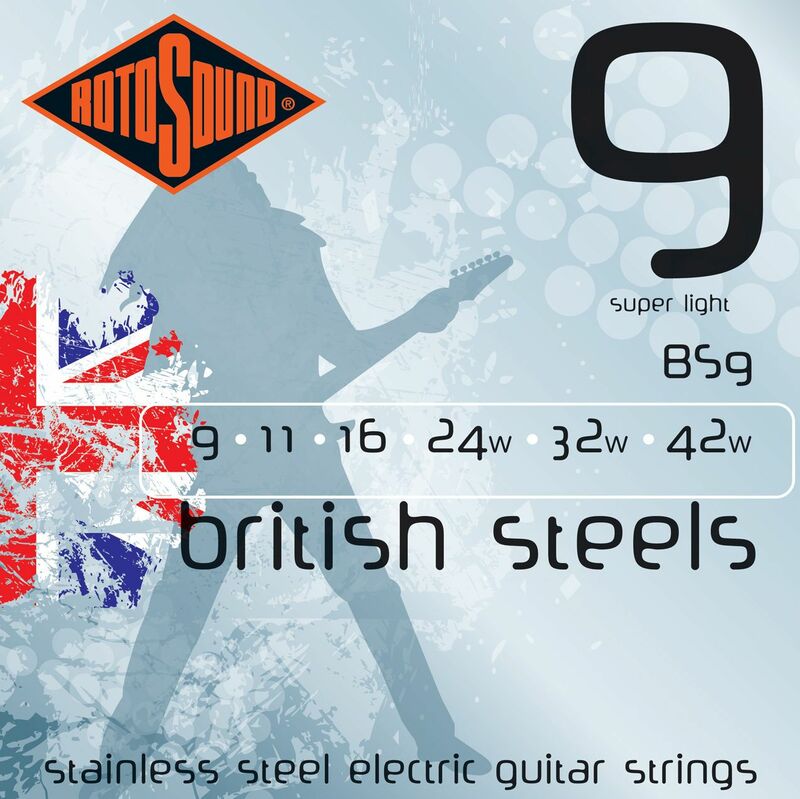 Rotosound announced the launch of British Steels, based on the Original classic Rotosound Stainless Steel Electric Guitar Strings from the 1960's. "Their original stainless steel strings already have a pedigree second to none and were used by Jimi Hendrix, Pete Townsend, Brian May and many others. Rotosounds stainless steel strings offered a clear, bright punchy sound, positive grip, plenty of twang and went on to be played on some of the greatest songs of all time." According to Rotosound, British Steels have been designed to give "a brilliant tone, sustain and great volume." The new strings are now manufactured under even tighter quality control and stricter tolerances to ensure consistency, clarity and durability, the company says. For further information on the range see www.rotosound.com/steels.html. VOX Amplification V112NT speaker cabinet VOX introduced the V112NT speaker cabinet, designed to provide an aesthetic and musical match for the Night Train NT15 head, according to VOX. New PRS 205 Model Based on the PRS 513 model platform, the new 305 model features three PRS single-coil pickups, offering five classic sounds, according to the company. Bugera 212V-BK Speaker Cab The new 212V-BK features dual 12" original Bugera Vintage Guitar Series speakers.